Thinking of buying one of the many used cars in Chicago? Before you do, you’ll want to take a look at (and consider) these five great used cars for getting around the city. After all, Chicago is one of the biggest and busiest cities in America. Therefore, you need something that makes maneuvering through it as easy and stress-free as possible. The Chevy Cruze, Chevy Equinox, Jeep Renegade, Kia Rio (Hatchback), and Smart Fortwo are all vehicles that accomplish this task. While they are all perfectly capable of getting you through the city, each one brings something unique to the driving experience that will change how you make your daily commute through the city. It’s also important to note there are plenty of other city-smart used cars for sale out there, and these aren’t listed in order from best to worst. They’re just alphabetized. If you’re looking for a compact sedan that’s built with modern styling and riddled with technology, then you’ll want to check out a used Chevy Cruze. Since it was just released in 2011, it’s considered to be modern in terms of materials and architecture. Another thing that’s always been state-of-the-art (if not ahead of its time) is the fuel economy. Even a 2011 Cruze boasts some fuel-efficiency specs that some of its competitors finally just reached in 2016. 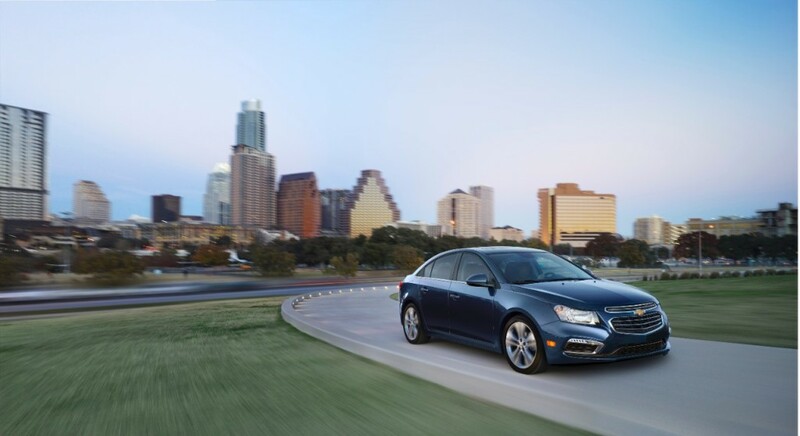 If you land yourself a Cruze Eco with a 1.4-liter inline-4 engine that generates 138 horsepower and 148 lb-ft of torque and a six-speed manual transmission, expect fuel-efficiency to hover around 28 mpg city and 42 mpg highway — which creates 33 mpg combined. Aside from fuel-efficiency, all Cruze models are also revered for their peppy performance and surprisingly exceptional handling. 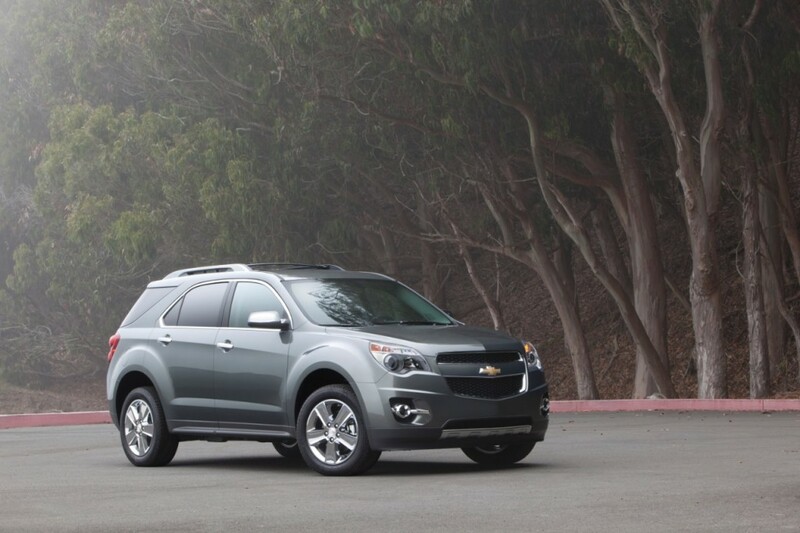 Another go-to city-dwelling Chevy model that consumers love is the Equinox. This is a midsize SUV that handles more like a sedan, but still has plenty of space and some of the utility featured in a full-size SUV. Therefore, it’s the perfect alternative for those looking for a more SUV-like experience in a city-friendly design. Grab a model after the 2010 model year, since that was when it experienced a redesign that gave it some pretty great qualities, like an optional, strong V6 engine, and comfort-oriented ride quality features. The 2015 model is a nice one to grab in particular, since it has the most recent upgrades. That V6 engine is a 3.6-liter that produces 301 horsepower and 272 lb-ft of torque. For front-wheel-drive models equipped with the V6 engine, the fuel economy is an EPA estimated 17 mpg city and 24 mpg highway. If AWD is required for more hazardous driving conditions, fuel economy will drop slightly. It also has exceptional safety, and received 4/5 stars from the NHTSA, and the highest possible rating of “Good” in IIHS crash testing across the board. This is thanks to technology like a rearview camera, rear parking sensors, frontal collision warning, lane departure warning, and stability control. 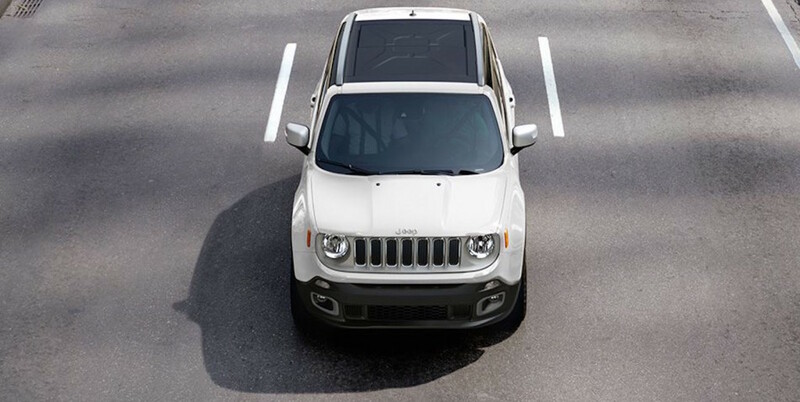 For an even smaller SUV (and one that’s more unique looking) a Jeep Renegade is a great choice. Not only is it more fun looking, but far more capable when it comes to handling hazardous conditions and off-road trails when compared to the Equinox. That’s because the Trailhawk trim has earned the Renegade Jeep’s coveted Trail Rated badge, which signifies its ability to tackle the toughest off-roading conditions. Whether rocks, mud, sand, or water — the Renegade can conquer it. Which is great news for those die hard off-roaders who are stuck in the city, where there probably isn’t room for more than one vehicle in front of your apartment or house. With the Renegade, you get a vehicle that has the right size, proper shape, and short turning radius to get you through your daily commute in the city, along with the off-road capability to take you into the mountains and woods after work. Not to mention, the naturally small size means it’s going to get decent fuel economy. And it’s one of the most tech-centric cabins in the Jeep lineup. So, even if you don’t want to off-road, you still have the option of grabbing a higher trim for the entertainment value that’s provided. Naturally, a hatchback made the list. They are currently one of the more popular vehicle styles for 2016, so why not blend right in with a used Kia Rio 5? It has an affordable price tag, and around Chicago, Edmunds predicts a price of $7.3k for a 2010 LX model that’s between 64,000 – 98,000 miles. 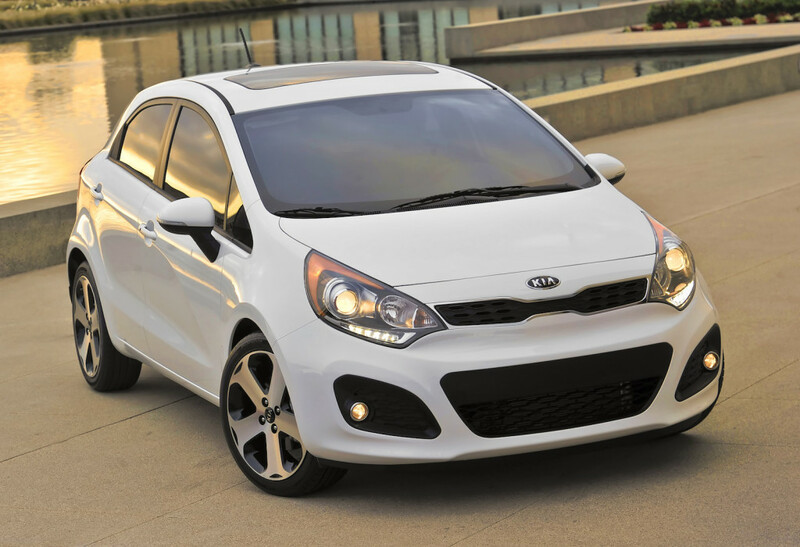 For a Kia Rio 5-door over 98k, the price drops to $4,999. Much like the other vehicles on this list, it also provides a great deal of savings at the pump, thanks to its naturally smaller and more fuel-efficient engine and overall size. The real draw for consumers when it comes to the 2010 Rio hatchback is the interior quality for a vehicle in this price range. Surprisingly, it’s quite pleasant. It has an attractive design with good quality materials, legible gauges, and simple controls. On top of that, even though it’s a compact car, front seat passengers have an abundance of head and legroom. Just when you thought it couldn’t get any better, the Rio 5 decides to tack on 49.6 cu-ft of trunk space when the rear seats are folded down, which is much more generous than the 11.9 cu-ft of cargo room the sedan variant provides. 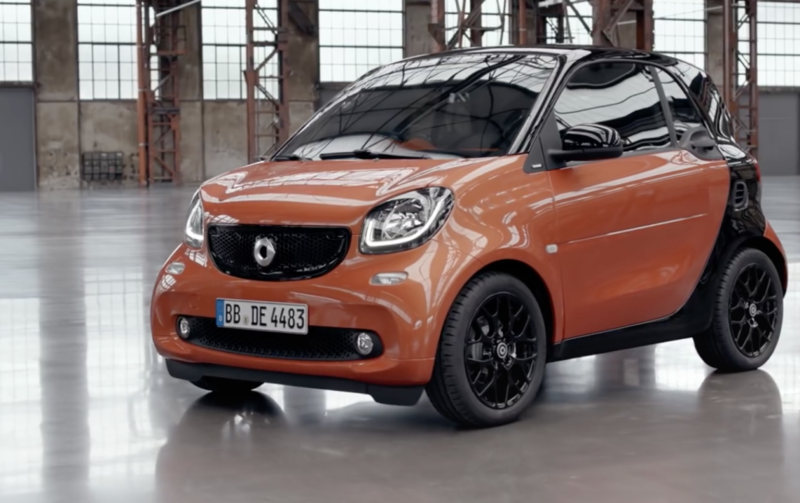 Finally, if you’re looking for the ability to park virtually anywhere — even spaces where vehicles like a Mini Cooper couldn’t park — the Fortwo by Smart is the car for you. If you don’t think having the ability to park virtually anywhere isn’t a huge advantage, then you obviously don’t live in the city. Even with its small size, the podlike shell of the Fortwo creates plenty of roomy seating for two people, with a generous amount of head and legroom, combined with 8 cu-ft of storage space, which is expandable, should the need arise, thanks to the flat-folding passenger seat. Even the electric model doesn’t sacrifice any of the cargo room, which is unusual but welcomed. Since the battery pack typically needs a place to sit, most of the time it ends up in the trunk. Instead, in the Fortwo, the battery is sandwiched beneath the floor. Apart from parking anywhere, the exceptionally tight turning radius makes moving through even the most tangled web of traffic a breeze. It’s important to note however, that while that short-wheel base and 70 horsepower three-cylinder engine make zipping through traffic jams a breeze, owners of the vehicle say it tends to feel slightly lackluster on the open road. While there are still plenty of other city-smart cars out there to choose from, these five models are just a few of the different types of options out there for those who need to brave the city commute on a daily basis.